This six month old cub looks like he is smelling the daisies. He is actually trying to eat them. Due to his big paws and poor dexterity, he had a difficult time getting them into his mouth. By the time he finally got a taste of one, he decided that he didn't like the taste of them after all and spit it out. 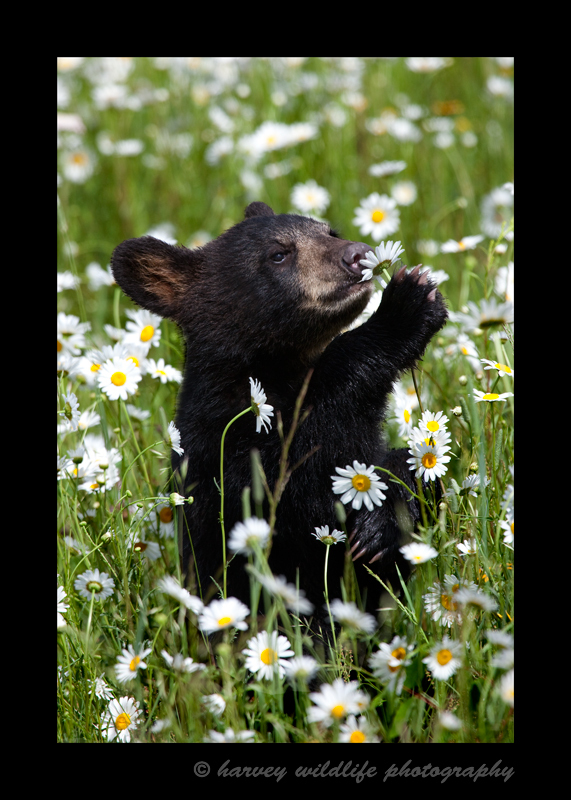 This is a picture of a domestic black bear cub. This image was recognized as "highly honored" in the 2011 Natures Best wildlife photography competition. 'A Taste of Daisies' was recognized as "highly honored" in the 2011 Natures Best Photography Windland Smith Rice International Awards Exhibition in Washington.